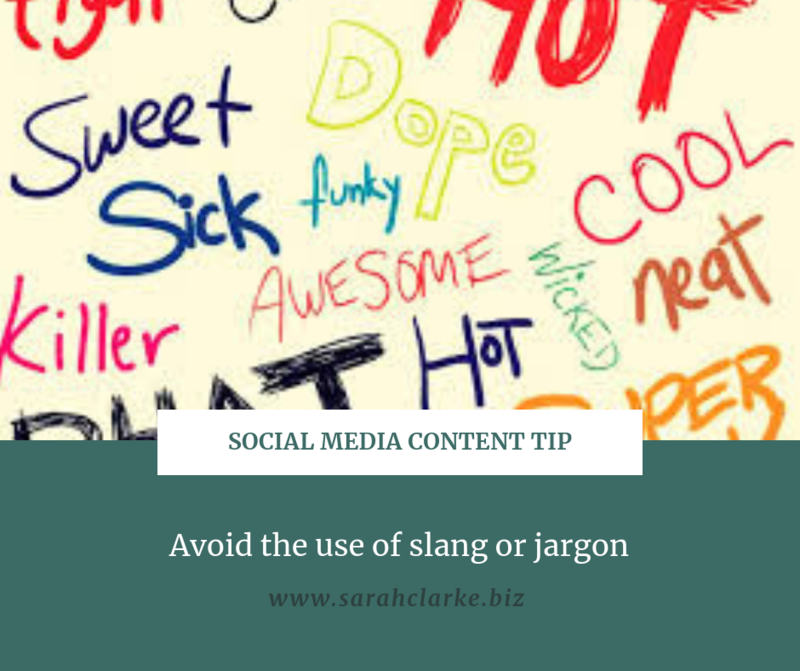 Tip #38 of 365 : Avoid the use of slang or jargon in your social media content. Not only does it look unprofessional, but it has a very high chance of annoying or offending your audience. Slang is defined as “a type of language that consists of words and phrases that are regarded as very informal” . Examples of current slang that you may hear quite frequently (especially if you have teenagers): Bruh, Fam, Gucci, It’s Lit, Savage, Bae, Salty. Jargon is defined as the language, especially the vocabulary, peculiar to a particular trade, profession, or group: i.e. medical jargon. It is probably terminology that is very commonly used in your daily work life but will be unfamiliar to anyone else. 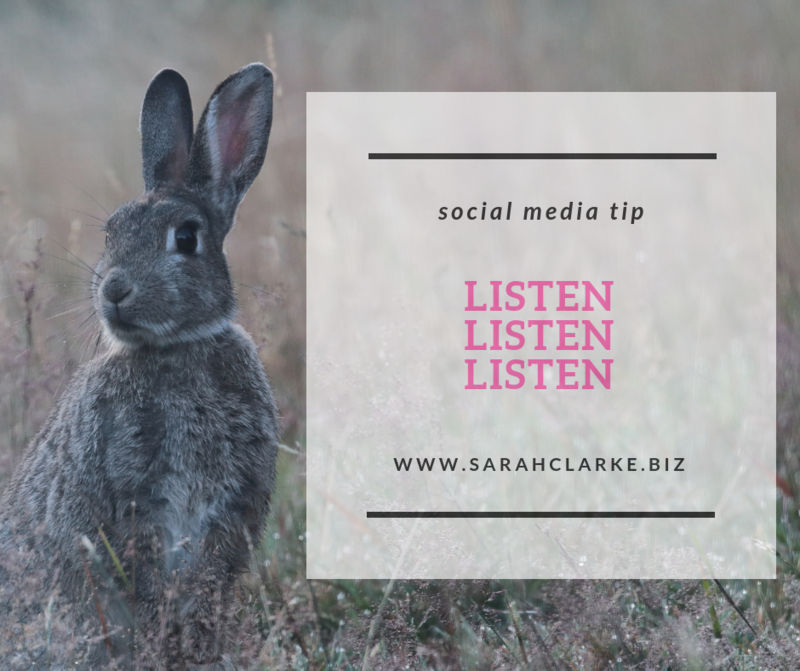 For example at Dufferin Media we call the monthly social media content calendar an “Ad Copy” without realizing our clients probably don’t know what that internal Jargon is. So the tip here is to use clean clear language in your text. 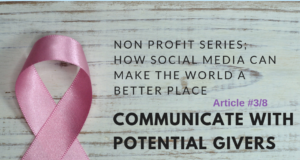 This applies to social media profiles, posts, and on your websites. 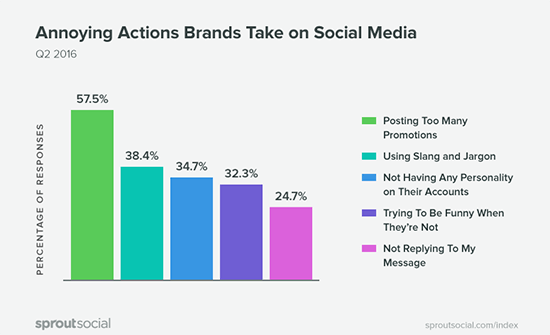 Here are other actions that the public finds annoying that you might want to consider when preparing your social media content.